Want to make the most of your Press Release? Then the best bet is getting it featured on Google News. PREMIUM PACKAGES: Guaranteed Press release distribution to Major Search Engines - Google, Bing, etc plus over 350+ news sites for Premium package and 500+ for Premium Plus package. 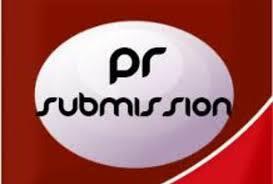 Get your PR on sites like Digital Journal CBS, FOX, Daily Herald, Associated Press, WND etc. Also included is a Social Media Blast to 16 Popular Social Media Platforms. So what do you stand to gain with this gig? A fine blend of both do follow and no follow links in the body of the release as well as anchor links. Instant traffic to your website. distribute Press Release to Google News is ranked 5 out of 5. Based on 7 user reviews.